The dotted detailing on these silver hoops makes them perfect for a day to day statement look. 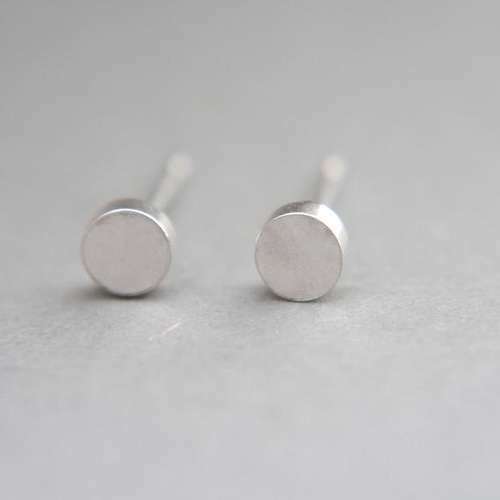 They are handmade in Suffolk, UK using recycled 925 Sterling Silver, and have a smooth finish, keeping them nice and shiny. There are two options for these unique silver hoop earrings, one with the dots on the top of design and one with the dots on the bottom, see photos for this demonstrated. Dimensions - approx 2.5cm in diameter.